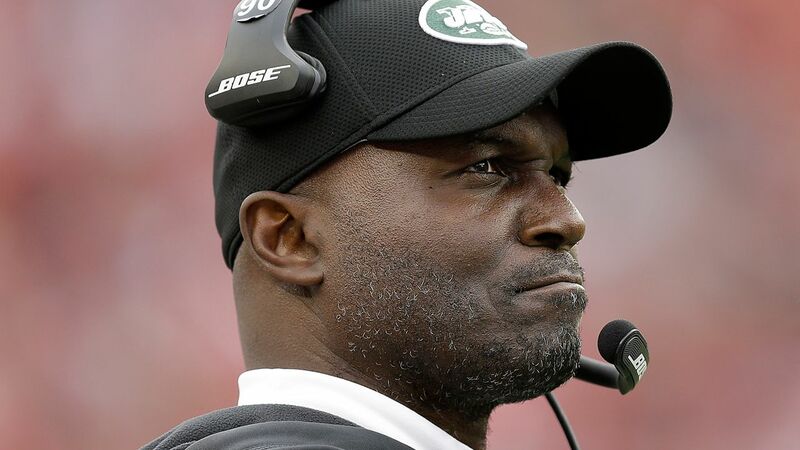 EAST RUTHERFORD, New Jersey -- New York Jets coach Todd Bowles was hospitalized Friday with what the team called an "undisclosed illness," and he did not travel for the game at New England on Saturday. In a statement posted on the team's website , the Jets said Bowles was in stable condition, but it was uncertain if he would eventually join the team in time for the game. The 53-year-old Bowles fell ill early Friday afternoon and was taken to the hospital, where general manager Mike Maccagnan visited him. Maccagnan has remained in constant contact with Bowles, who wants to coach the game but will need to be cleared by doctors. If Bowles is unavailable to coach, assistant head coach Mike Caldwell will fill in against the Patriots. Caldwell, who played linebacker for 11 seasons in the NFL, also serves as New York's inside linebackers coach. Caldwell ran the Jets' walkthrough practice while Bowles was hospitalized. He was informed during the team's flight to the Boston area that he would be the head coach if Bowles can't make it to the game. Bowles is in his second season as coach of the Jets. He got his tenure off to a promising start with a 10-6 season that finished a win shy of a playoff appearance. But New York has struggled to a 4-10 mark this season, prompting questions about Bowles' future as coach as the Jets failed to make the postseason for the sixth straight year. Bowles has maintained a low-key, even-keeled approach in public despite some fans and media calling for his job in recent weeks. "When I signed the contract, I knew what my job status was and I'm not worried about that," he said earlier this month. "I'm going to do the same thing and keep grinding like I always do." This is the second health-related situation Bowles has dealt with since coming to the Jets. In February, he had a benign golf ball-sized mass removed from his throat that was initially discovered during the season and didn't require any additional surgery.